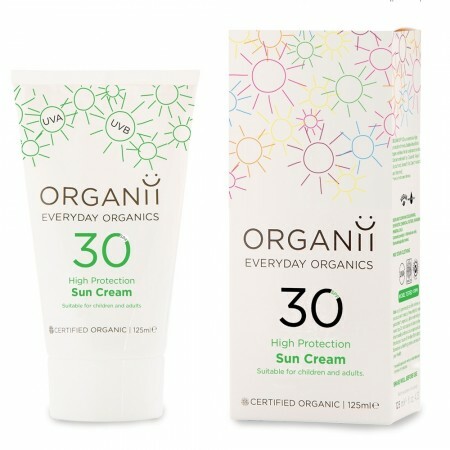 Mild and fragrance-free with a high SPF30, this liquid cream is ideal for children and adults with sensitive skin. Unlike many sun creams, it is effective from the moment it is applied and doesn't whiten the skin. 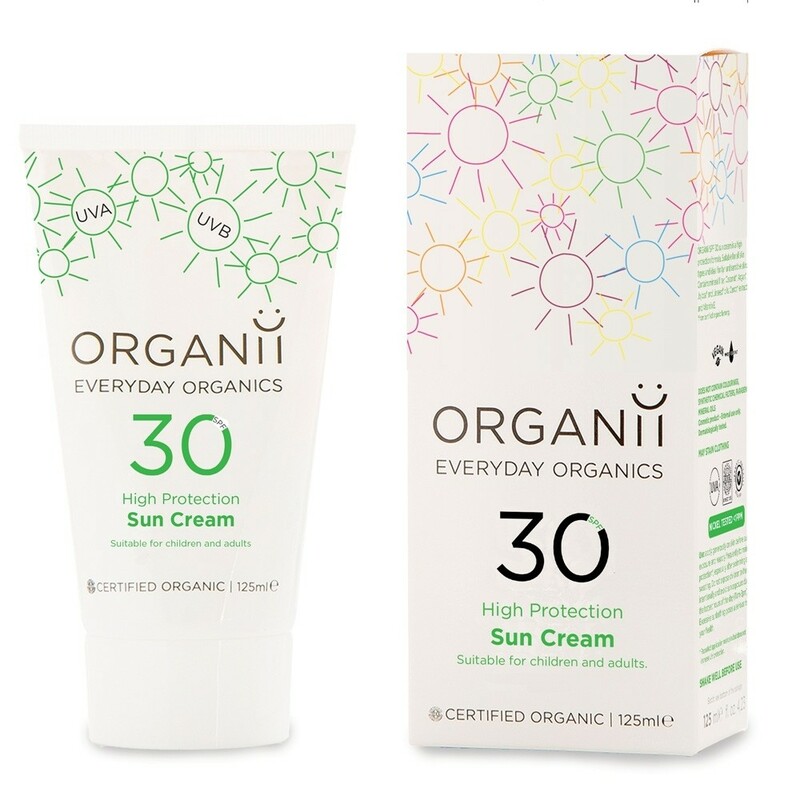 It is formulated from pongamol, extracted from karanga oil, and combined with titanium dioxide and zinc oxide to provide a high level of protection from UVA and UVB rays. It's been dermatological and nickel tested, certified organic and is highly moisturising. It contains no colouring's or paraphens. Reapply several times throughout the day and after swimming, and avoid the sun between midday and 3pm. Ingredients: aqua (water), pongamia glabra seed oil, dicaprylyl ether, zinc oxide, caprylic/capric triglyceride, polyglyceryl-3 polyricinoleate, glycerin, *alcohol, olea europaea fruit oil, titanium dioxide, oryza sativa bran oil, *linum usitatissimum oil, tocopherol, alumina, stearic acid, pongamol, *helianthus annuus seed oil, *simmondsia chinensis seed oil, *argania spinosa kernel oil, hydrated silica, oryzanol, magnesium stearate, *calendula officinalis flower extract, *malva sylvestris leaf extract, bisabolol, magnesium sulphate eptahydrate, stearic acid. Organii combine natural, organic ingredients to make effective eco products that smell great and are stylishly packaged too. 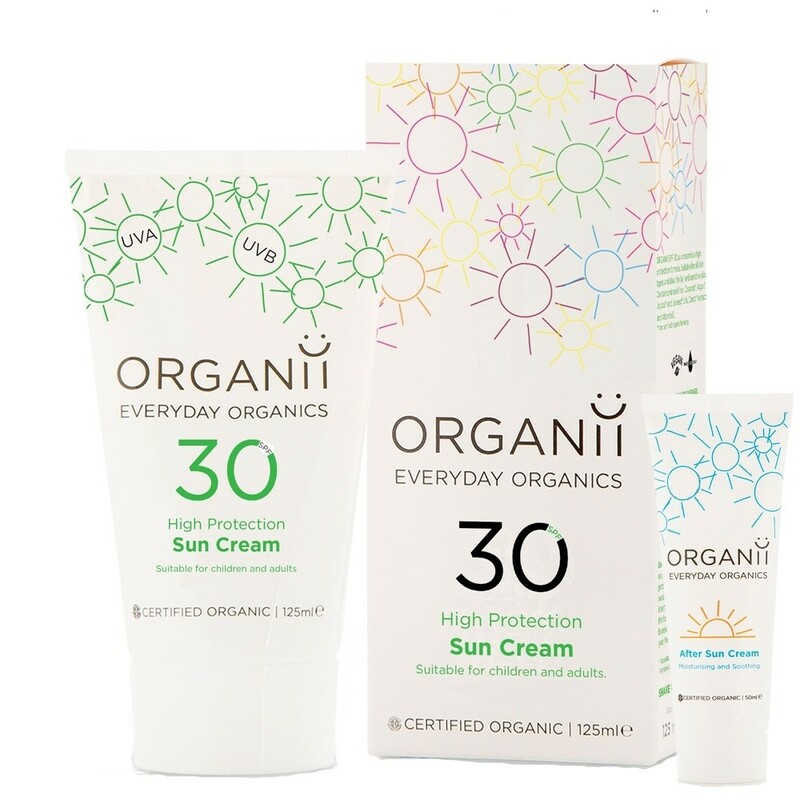 From soaps to suncream, Organii is a great environmentally-friendly brand that will be a hit with your family. Organii is part of Sodosan, a well-recognised ethical German company.